Every day, we get asked how to cure acne. Messages come through Instagram, Facebook and email from girls telling us they’ve tried every product on the market to no avail and asking what they should do next. If this is you, perhaps you’ve even resorted to taking the contraceptive pill but rather than cure acne, the only difference you’ve noticed is weight gain and changes to mood. If there’s one thing that’s prominent when you look through our inbox it’s that acne is a battle being fought by many and nothing seems to cure confidence-knocking pimples, scarring and acne-ridden skin. If you live with acne or suffer from frequent breakouts, you’ll know that there’s a lot of conflicting advice out there regarding the treatment of acne. Skincare manufacturers have jumped on the bandwagon and formulated products with harsh alcohols that do little more than damage healthy skin cells. Combined with smart marketing messages, girls are spending lots of money and seeing little results. Our message today is as clear as your skin can be. As a skincare manufacturer, the health of your skin is in our best interests. We don’t want to sell you a product that won’t clear up acne on the promise that it will do so. We want you to have skin that glows to increase your confidence and make you feel as good as you look. So, to that end, the honest truth is that it’s very unlikely that acne is a skincare problem that can be solved externally. There’s one area that’s being grossly overlooked in the quest for acne-free skin. Now, this is a complex topic, but we’re going to keep it as simple as possible. While there may appear to be no connection between your gut and your face, extensive research (the earliest of which dates back nearly 80 years ) has displayed links between a healthy gut and skin. Let’s simplify that even further. The gut is made up of millions and millions of species of bacteria known as microflora. Some are good (probiotics), and some are bad. The good bacteria help to control the bad bacteria to promote a balanced digestive system. When the good and bad bacteria are working in sync, your digestive system breaks food down, processes nutrients from food and delivers them through the body leading to efficient function of all cells. When there’s a bacteria imbalance however, and the bad bacteria starts to overrun the good bacteria, this can lead to a condition known as SIBO (small intestinal bacterial overgrowth). SIBO compromises the gut wall that protects toxins from entering the body. When this happens, toxins enter the body (including your skin cells) leading to a range of problems such as food intolerance or allergies, inflammation, hormone imbalances and skin conditions…yes, including acne. Unfortunately, while it may seem as simple as ‘good bacteria versus bad bacteria’, the gut is made up of millions of different types of microflora and identifying where any potential imbalance stems from is often a complex and lengthy process. If you’re prone to acne, I can’t recommend highly enough that you consult with a dietician, nutritionist, or a healthcare professional who can test your gut and potentially identify any illnesses or imbalances that may have caused your acne. Everyone is different, and it’s impossible for us to diagnose or make recommendations without thorough professional testing. If you don’t identify and treat the internal causes of acne, treatments on the outside of your skin will be fruitless. The process may act as a band-aid, but it won’t ever cure acne, and any product that claims to do so isn’t being truthful. 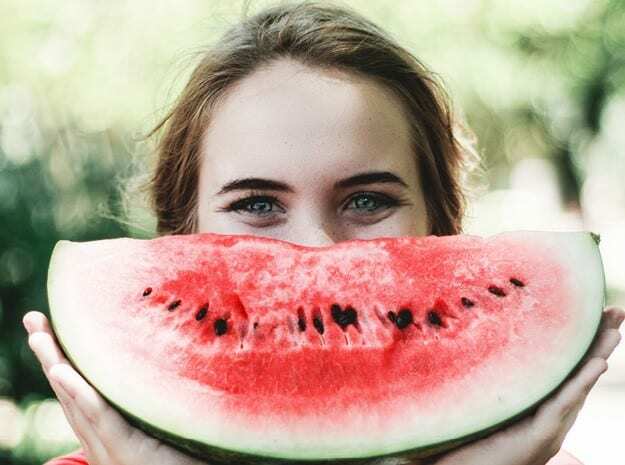 Here are our recommended tips to reduce the visible effects of acne while working in conjunction with a professional to heal any internal balances that may stem from the gut. The tartaric acid in Bd serum acts as a gentle enzyme exfoliator as it clears away excess oil from the pores. In addition, manually exfoliating with a gentle scrub two to three times a week will help remove dirt and dead skin cells from the pores to reduce the likelihood of blockages that lead to pimples and zits. One of the contributing factors of spots and blemishes is dirt and bacteria that mixes with excess sebum and gets trapped in pores causing blockages. Follow a daily cleanse with Bk serum which contains ellagic acid, an antioxidant that will flush out toxins to keep your skin clear. Products containing harsh alcohols may claim to treat acne from the outside, but they also damage healthy skin cells and strip skin of its natural oils leaving it prone to dryness, irritation and appearing flaky and dull. Natural products like Biologi serums which don’t contain harsh ingredients will hydrate your skin from the inside out and work with your skins natural hydrating processes to keep the skin not affected by pimples smooth and clear. As we keep repeating, the use of Biologi on skin that has acne may help to reduce the external symptoms, but it’s not a cure. You must address the internal imbalances that cause acne, and your gut is the best place to start. We love helping you girls address your skin concerns so please email enquiries@biologi.com with your skin complaints so our head dermal therapist, Lucy, can address your concerns individually.